Matt was asked about some of the things to look out for when purchasing a condo in Ottawa. CLICK HERE to read the full article. Richling, though, says that being engaged in the financial and physical health of the building is crucial, and that means attending meetings. Thinking about buying a condo in Ottawa? Let's chat! The Ottawa Citizen published an article today about the condo market in Ottawa, along with some insider forecasts on the current and future market. You can read the full article here. I have summarized the important take aways, then going to run through exactly what it means for buyers, sellers, and everyone else. - CMHC reports lowest condo construction starts this year since 2009. - An industry analyst (from PMA Brethour Realty Group) predicts condos will represent ~18% of sales in 2014, compared to 25% in 2013, 29% in 2012. - PMA blames poorer job prospects, and more cautious first time buyers, and investors are buying less than previous years, are maxed out, or scared by still-increasing prices. - PMA sees condo sales increasing over the next year when first time buyers return to market. What exactly does this mean for those looking to buy in Ottawa? Donald Trump is famous for saying you make money in the buy, not the sell. During the meltdown in the USA, Warren Buffett was advising to buy residential real estate before prices went back up. Over the next year or so, CMHC along with other analysts, are expecting the market to continue to soften, and then start to rise again. If you are in the market to buy, there is no better feeling then knowing the prices are going to lower (allowing you to buy low), and then rise. Obviously, you want to take your time and find the perfect place, at the best price, that suits you and your future. *NOTE* Plan on holding your property for at least three years, (preferably five), other wise the costs will outweigh your benefits. So think hard and long about your future or if uncertain, at least look at units that can cover the costs by renting it out. This also means the style of property. Are you dating? Chances are that 500sqft unit wont work for the future couple. Want a dog or kid? same thing. Think ahead and save yourself down the road. What exactly does this mean for those looking to sell in Ottawa? Certainly not great if you purchased your condo since 2009 and are looking to sell in the next year or two. You have more competition, and harder pricing. You will need to make your property stand out among the rest, and be willing to work with a buyer for a sale. ***Chances are, you have/will never heard/hear an agent say this but....*** if you can hold out, do it. Wait it out. This is the opposite of what we are "supposed" to say, but this is your largest investment - treat it as such. While you wait, the mortgage is getting paid down, and you will have more room later on. THE FLIP SIDE of this, if you need to sell, take the hit now (hopefully as small as possible), and find a great deal that will have a better return. What does this mean for those who are just checking in, with no immediate plans to buy or sell? Don't panic. Everything goes up and down, and while we have seen a slow but constant increase, corrections are due to happen. Re-evaluate your life plan and see how your living situation will fit in the property over the next four or five years. Then try and plan accordingly. Do you want to chat about planing to buy? Or make a plan to reduce the hit you will take when selling? I would love to help you out, click the button below. I was quoted in an article in Tuesdays Ottawa Citizen, that managed to make front page of the business section. Talking about how condos are becoming uber hot in Ottawa. Now with 1 in every 4 homes sold being a condo, Isnt it about time to find someone who focuses on downtown condos to help you sell? Condominiums are a hot sector of the Canadian real estate market, particularly for first-time homebuyers spooked by high prices, says a report released Monday. Re/Max says affordability, lifestyle, investment opportunities and urban renewal efforts are among the reasons condo sales have spiked over the last year in some Canadian markets. “As one of few affordable housing options available to first-time buyers, the concept is poised for dramatic growth in years to come,” said Michael Polzler, executive vice-president for Re/Max’s Ontario-Atlantic Canada operations. Re/Max said condo sales in Ottawa are up 11.9 per cent to 2,799 units year-to-date, as of September, and now represent one out of every four homes sold. The average price for Ottawa condos has risen 12.9 per cent to $252,641 in the last year, still more than $100,000 cheaper than the average price of $366,587 for a single-family home, which increased in value 8.2 per cent. The greatest activity continues to be in condo sales in the $200,000 range in Ottawa, Barrie and London, but condo sales at prices in excess of $450,000 in Ottawa have jumped 72 per cent compared with last year. Condo sales in the greater Toronto area were up 10.4 per cent year to date, representing one of every three home purchases. In Ottawa, “condo sales have come of age,” said Geoff McGowan, broker of record at Re/Max Affiliates Realty Ltd. in Ottawa. 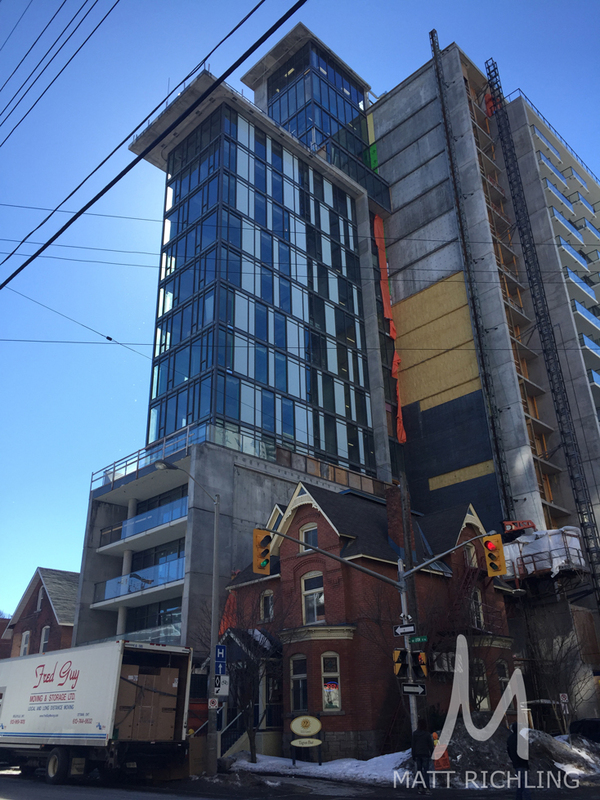 “For the longest time we didn’t have the uptake on condos, unusual for a city this size. But things have changed now. “Ottawa is the blue-chip stock of North American real estate. It’s the most affordable of any major city,” said McGowan. He added that the stable employment of the public sector helps to guard against downturns. He cautioned, however, not to expect condo price or sales increases forever. While the Re/Max report focused specifically on Ontario and Eastern Canada, Gregory Klump, chief economist for the Canadian Real Estate Association, said condo sales are becoming a bigger share of more expensive housing markets across the country, such as Toronto and Vancouver. The Re/Max report said other factors driving the surging condo market include urban redevelopment that favours intensification over urban sprawl, empty nesters seeking low-maintenance retirement properties and investors hoping to sell when prices appreciate, the report said. The same is happening in Ottawa, but from investors closer to home. “We’re seeing a huge surge in condos being bought for investment purposes,” said Matt Richling, of Re/Max Metro City in Ottawa.